It’s that time of year again! 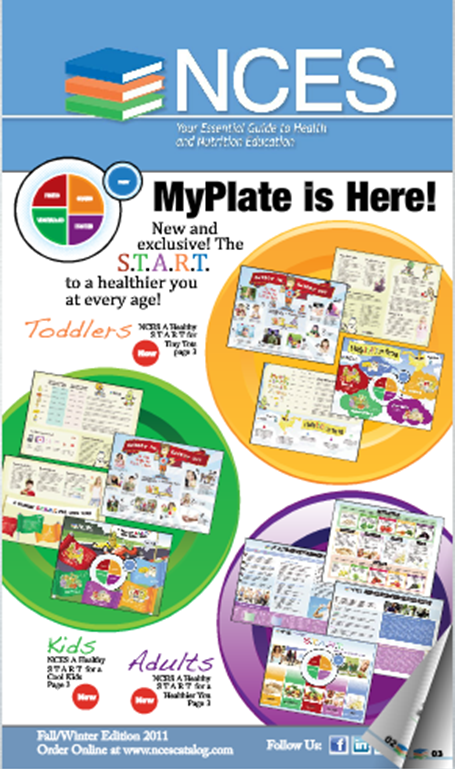 Yep, that’s right, time for the new NCES catalog… packed full of amazing, new nutrition education materials to help you teach your clients, or just keep your own family healthy! The Fall/Winter 2011 catalog mailed out bright and early Monday morning. So, it should be hitting your mailbox any day now… if it hasn’t already! We’ve selected some of the hottest products on the market to help you stay fit, active and healthy. Just to get your mouth watering, let’s highlight a few today! The first is a great choice for anyone with an on-the-go lifestyle! We all know that it’s hard to eat right when you’re constantly running here, there and everywhere! 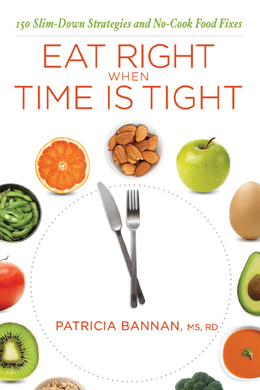 One of our new additions “Eat Right When Time is Tight” is packed with doable, practical, “no-time/no-brainer” meals and snacks that will help woman gain time and lose weight. 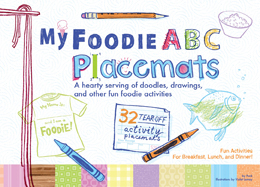 Another new selection, now available in the NCES Catalog, are the Kids ABC Placemats. We all know that it can be a struggle to take the kids out to eat! They get bored very easily. So, how about a healthy distraction that teaches them all about good nutrition habits? With colorful pictures and an alphabet of fruits and vegetables to learn about, these tear-off paper placemats are sure to make learning about food, fun with every meal. The last product we’ll highlight today is more for the nutrition professional. However, if you’re struggling to teach your kids the importance of limiting their dessert intake, the Dessert Visuals teaching aid will provide just the motivation they need. These visual aids display the sugar and fat in our favorite desserts, including brownies, chocolate chip cookies, apple pie, ice cream and more. So, now that you’ve seen just a few of the great new products featured in the Fall/Winter 2011 NCES catalog, you should really go check out the whole thing. 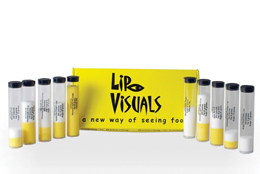 There are quite a few ways to view all the new products! 2) Flip through the virtual pages of our online catalog here. 3) Request your very own hard copy of the catalog here. Plus, don’t forget, you can always connect with us through our traditional contact methods, as well as online on Facebook or Twitter.